While Japan did not release any economic data, the US will publish various economic reports such as Revised UoM Inflation Expectations, Revised UoM Consumer Sentiment, New Home Sales, Personal Income m/m, Personal Spending m/m, Durable Goods Orders m/m, Core PCE Price Index m/m and Core Durable Goods Orders m/m. 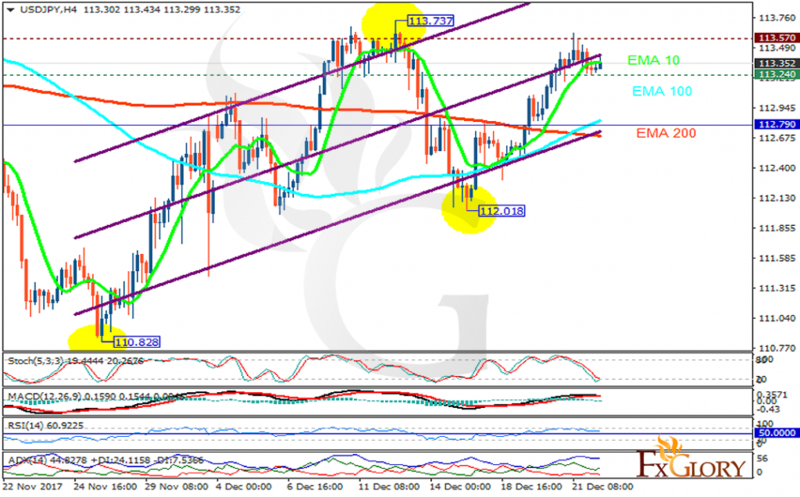 The support rests at 113.240 with resistance at 113.570 which both lines are above the weekly pivot point at 112.790. The EMA of 10 is moving with bullish bias in the ascendant channel and it is above the EMA of 200 and the EMA of 100. The RSI is moving above the 50 level, the Stochastic is moving in low ranges and the MACD line is on the signal line in the neutral territory. The ADX is showing buy signal.